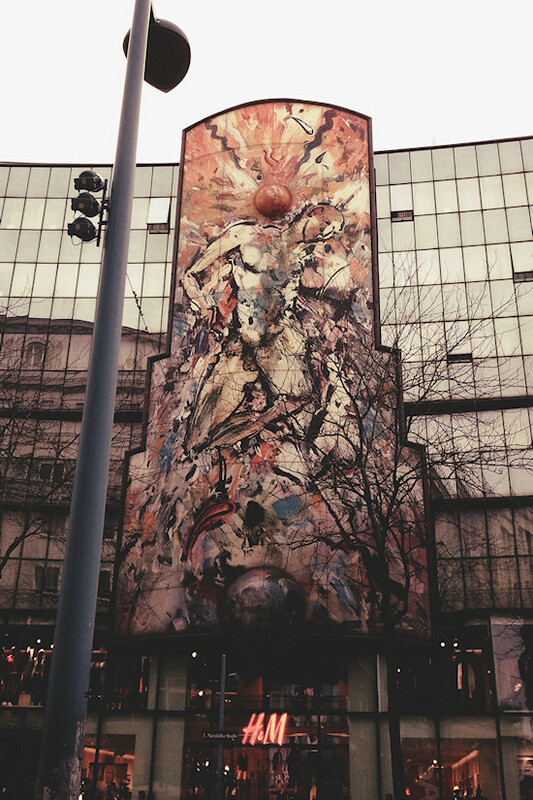 Europe's largest mural mosaic is located above an H&M store in Vienna on Mariahilfer Straße. Designed by Christian Ludwig Attersee for the Atterseehaus. Hi, this prominent, 210 square meters large, mural mosaic, called "Wetterhändler" (Weather Merchant) was designed by the Austrian painter Christian Ludwig Attersee for the Atterseehaus in 1996. I have to say that I never liked the building much, which is the home of an H&M store, a Body Shop and an NH hotel. 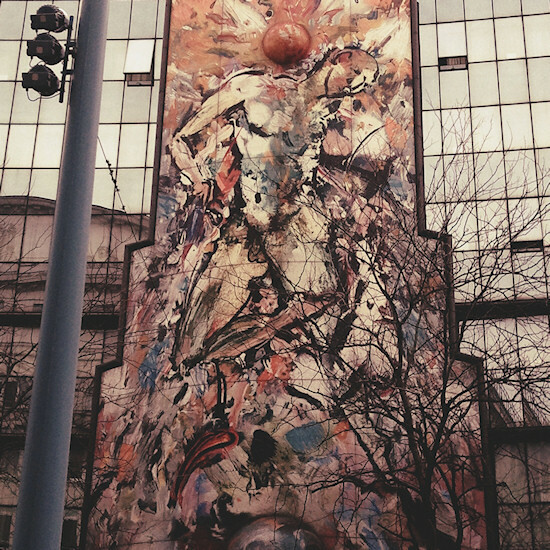 But now that I got a full view of the oversized artwork (when I came from Esterhazygasse), the more I look into it the more interesting it gets. How do you like this abstract piece of art? What do you see in it?